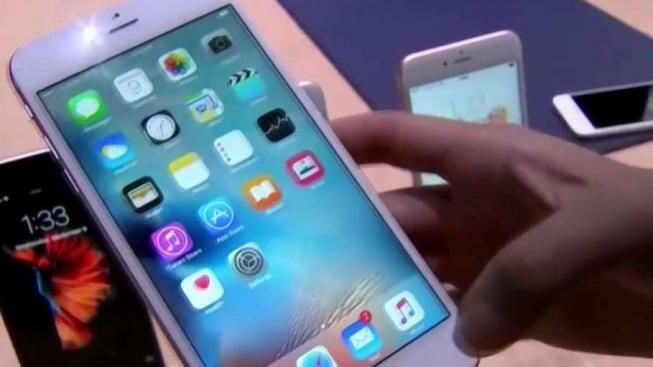 Apple shareholders are calling on the company's board of directors to study the impact of smartphones on children. Parents have expressed concern about the amount of time kids spend on their smartphones, and now some investors in the Cupertino-based tech giant are concerned as well. Jana partners and the California State Teachers' Retirement System sent a letter to Apple's board urging the company to study screen time impacts and offer parents solutions. While many adults can be seen glued to their phones, parents say their kids are even more tuned into their screens. "If you take it away, they start crying, whining, throwing a tantrum," said Ann Kraft of Connecticut. "Why don't you play with a ball?" Kraft added: "They're watching TV on the phone, texting, face timing, Instagramming. Everything they do is on the phone. It's a lot of screen time." Apple shareholders are saying there is a growing body of evidence that, for at least some of the most frequent young users, it may be having unintentional negative consequences. Clinical psychologist and Cal State East Bay professor Michael Stanton says there are impacts. "We know social media do contribute to anxiety and depression, especially among kids in regards to social comparisons," Stanton said. Stanton says screen time also impacts sleep. He says more study is needed to get the full picture. Parents hope Apple gets to work. "These kids are the first generation that have had extended screen time," Kraft said. "We suspect there are impacts, but we don't know what it is until you study. We're just guessing."